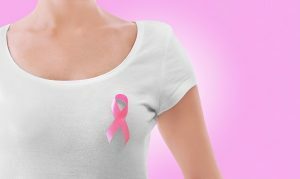 If you take notice of what people are wearing this month, you may notice a lot of people wearing pink shirts or adorned with pink ribbon accessories. This is because October is National Breast Cancer Awareness Month (NBCAM). Founded by the American Cancer Society in 1985, this important recognition was designed to promote the use of mammograms to detect breast cancer. In 1993, the Breast Cancer Research Foundation introduced the pink ribbon as its symbol to raise awareness for breast cancer research funding. It is estimated that about 12% of women will develop breast cancer in their lifetime. At New Direction Family Law, we proudly recognize Breast Cancer Awareness Month and encourage the women of North Carolina to get mammograms. If you have health insurance, please contact your doctor and ask for a screening. If you are not insured or are unable to afford a screening, the North Carolina Health and Human Services offers the North Carolina Breast and Cervical Cancer Control Program, which provides free or low cost breast cancer screenings for eligible uninsured or under insured women. Further, we would like to recommend that you volunteer or donate to the following worthy causes. Making Strides of Raleigh — On October 14, at Midtown Park at North Hills, the Duke Cancer Institute and the American Cancer Society is presenting Making Strides, a “non-competitive 3 to 5 mile walk” that helps fund cancer research and information to reduce the risks of breast cancer. Pretty in Pink Foundation — is a North Carolina foundation whose mission is to pay for life-saving medical treatment for uninsured and under-insured breast cancer patients. Carolina Breast Friends — Is a non-profit organization that is “committed to uniting and helping women with breast cancer in all stages of survival”. The American Cancer Society — One of the oldest and most influential cancer foundations in the world, the American Cancer Society offers funding for research, information, patient support, and cancer prevention. Susan G. Komen — Has a mission to “Save lives by meeting the most critical needs in our communities and investing in breakthrough research to prevent and cure breast cancer.” Susan G. Komen hosts the Race for the Cure nationally and promotes cancer research and quality medical care. New Direction Family Law is a North Carolina family law firm that proudly serves Wake, Johnston, Lee, Harnett, Cumberland, Nash, Granville, Franklin, and Durham counties. If you are seeking help with a separation and divorce, alimony, property division, or child custody dispute, we can help you. Contact our office at (919) 719-3470 to schedule an appointment or reach us online at our website.